A beautifully presented two bedroom first floor apartment located in The Granary, with stunning views of Wells Quay, salt marshes and surrounding coastline from the dining/living area and the master bedroom. The property is accessed by a lift or stairs via a video entry system. A fantastic location in the heart of Wells within a short walk of all of the amenities and the coast. 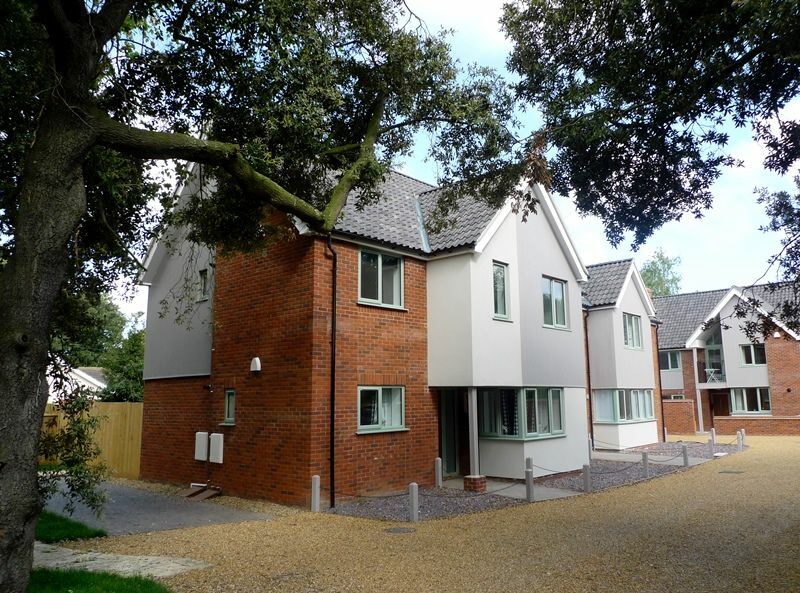 2 Smugglers Cove is a ground floor apartment which is part of a high specification, select development in the heart of Wells. It has been furnished to a high standard in a light coastal style and is all on one level with a spacious living room and contemporary fitted kitchen leading out to a sunny shared courtyard garden. This is a perfect place for 1 or 2 couples, or a family of 4, to stay throughout the year. 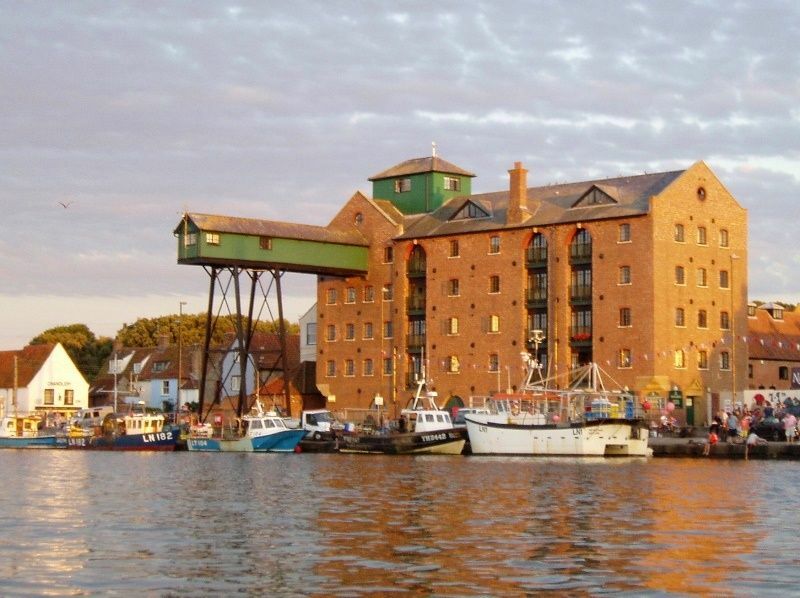 It is only 5 minutes walk from the picturesque quay via the quaint Jolly Sailors Lane and a short stroll from the great selection of shops and places to eat in Wells. The beautiful sandy beach is easily reached on foot, or via the miniature railway, with the splendour of Holkham Hall and beach only 5 minutes drive away. 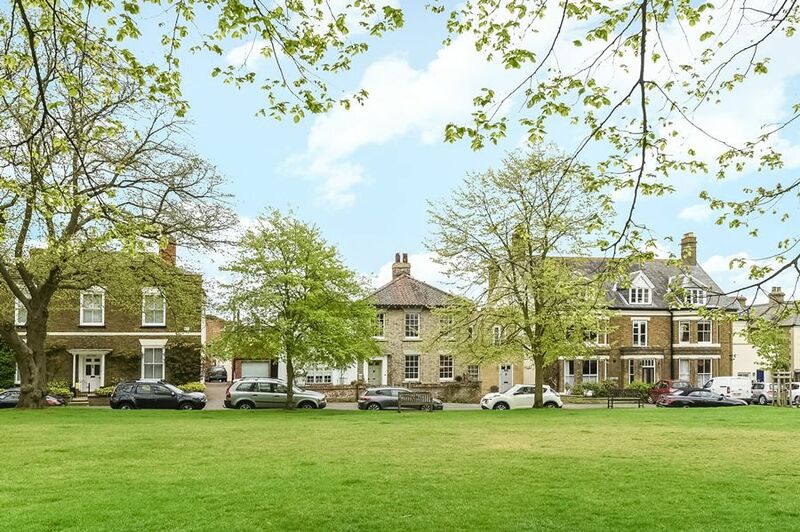 Flat 3 is a spacious, well-presented 3 bedroomed apartment on the first floor of Monteagle, a prominent Grade II listed house on The Buttlands, Wells' village green. It is in a fantastic location in the heart of Wells, within a short walk of all of its amenities and the quay, and only a few steps from The Crown and The Globe, two of Wells' best hostelries/restaurants. 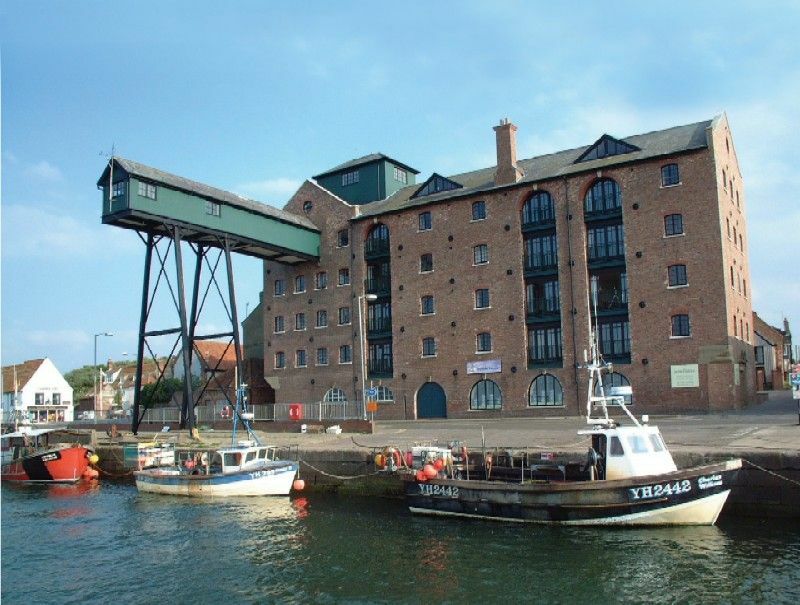 4 Pauls Maltings is a lovely second floor coastal apartment which is part of the original maltings on the quay, with absolutely breathtaking views across Wells harbour and out to sea, used exclusively to date as a private holiday home. It has been furnished in a contemporary style. 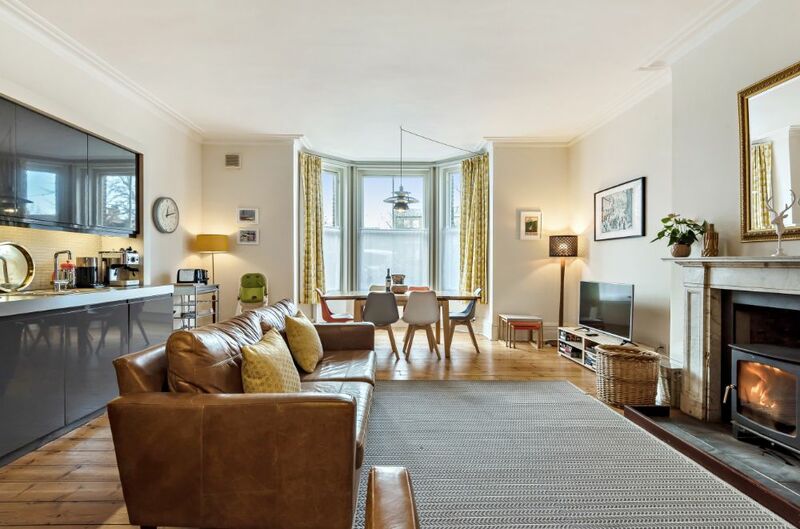 With two double bedrooms, this is a perfect place for one ot two couples to stay with a sociable light and airy open-plan kitchen/dining/sitting area with three windows overlooking the harbour. 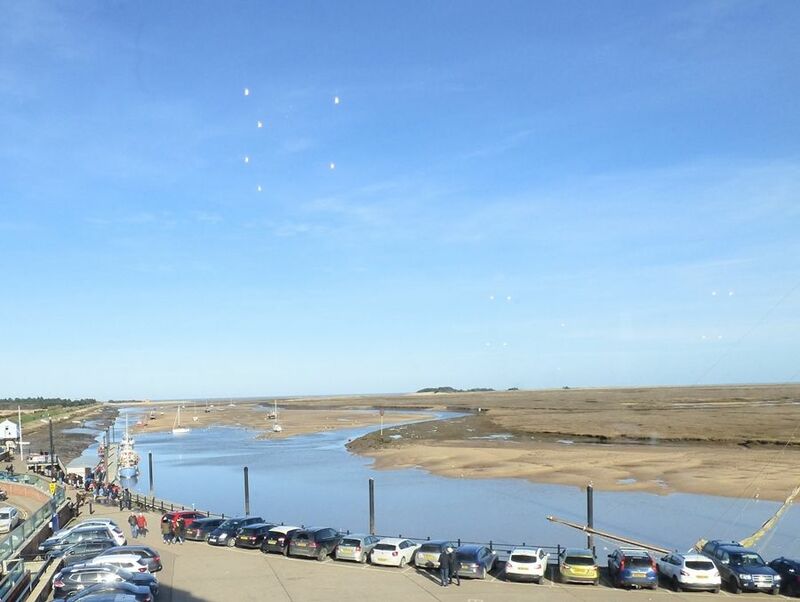 This is the ultimate coastal location situated on the quay within walking distance of the beautiful coast and all of Wells' shops and places to eat, plus the added advantage of a designated parking space. 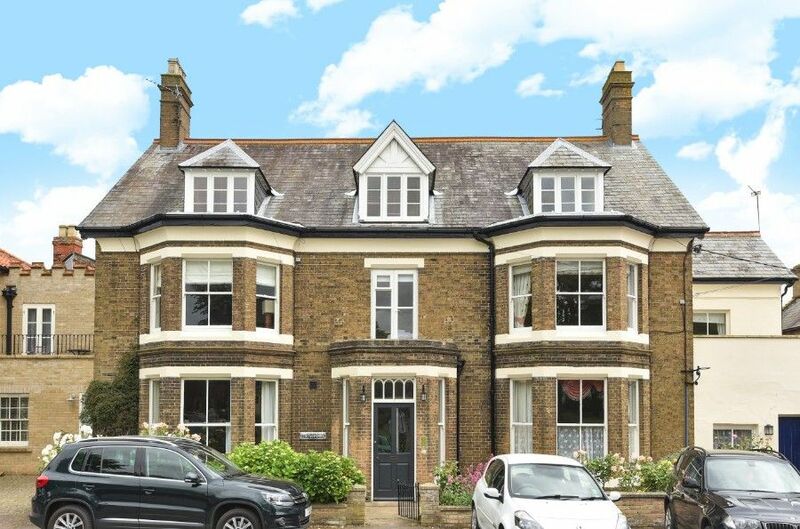 5 Monteagle is an immaculately presented, light and airy 2 bed-room apartment on the top floor of Monteagle, a prominent Grade II listed house. The apartment is maintained to an extremely high standard by its owners and great care and attention has gone into furnishing and equipping their second home. It is in a fantastic location in the heart of Wells on the prestigious green and leafy Buttlands, with the living room and master bedroom enjoying lovely views across the green. Ideally situated within a short walk of all of Wells' amenities and the quay, and only a few steps from The Crown and The Globe, two of Wells' best places to eat and drink, making this the perfect place to stay throughout the year. Bliss Cottage is a luxurious part of a period listed building close to the picturesque quay and bustling town centre of Wells. 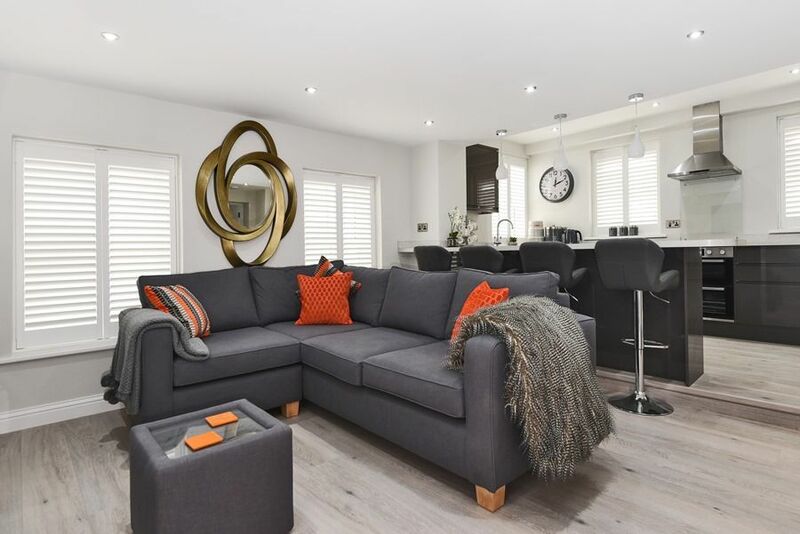 Great care and attention has been taken to create this stylish contemporary holiday home, beautifully appointed furnishings and fittings throughout. Downstairs there's a stunning open plan kitchen/sitting area and a separate dining room/TV room, with two gorgeous bedrooms upstairs each with their own modern bath/shower room. Plantation shutters and thermostatically controlled underfloor heating and radiators ensure that guests will be warm and comfortable throughout the year. Outside there's a courtyard garden and the advantage of a private off-street parking space to leave your car, as once here you'll be able to explore the delights of Wells and its gorgeous sandy beach on foot. 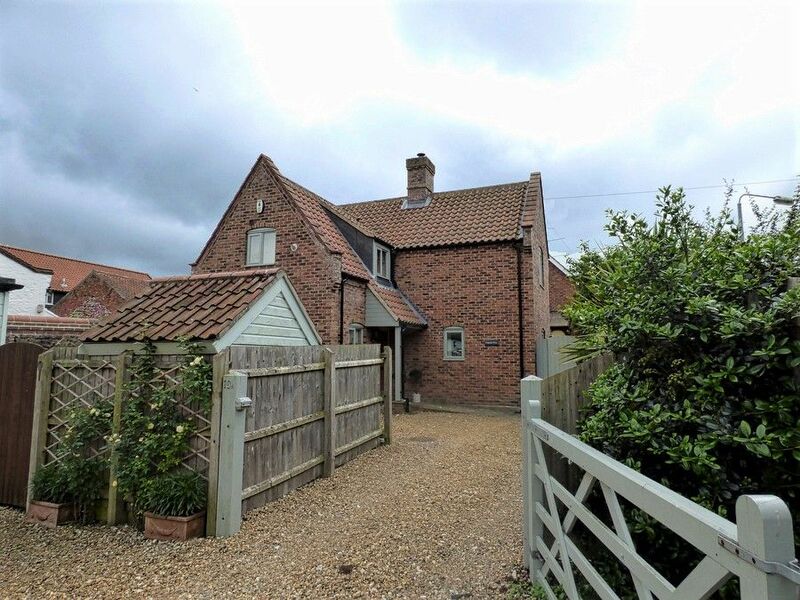 Crab Cottage is a quintessential Norfolk flint and brick mid-terrace cottage, quietly located away from the road, with a surprisingly large delightful garden. It comfortably furnished with the advantage of full gas central heating and a conservatory opening onto the lovely garden. The Bowling Green pub is a couple of minutes walk from the cottage. It is conveniently located within walking distance of the picturesque quay and bustling town centre of Wells, with its great selection of shops, cafes, pubs and restaurants. 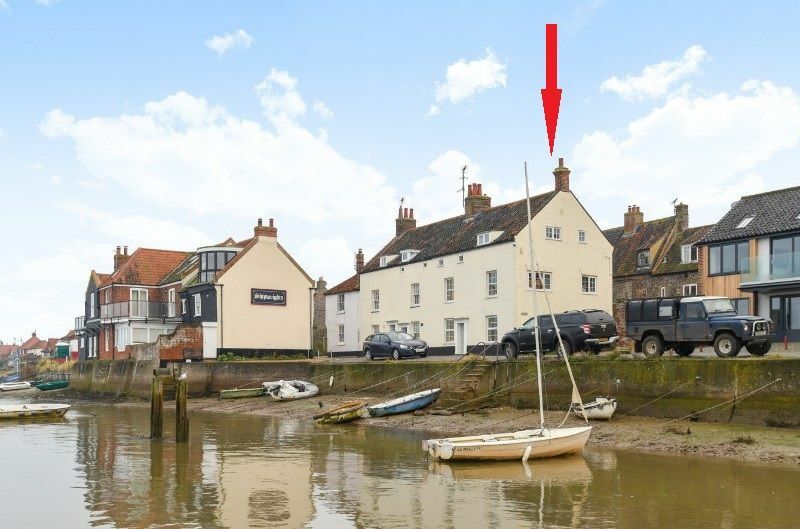 Harbour Cottage is a wonderful 3-storey flint and brick property which is situated in a quiet courtyard location, behind the iconic Granary building close to Wells' quay, with views across the harbour and out to sea. It has been tastefully refurbished with a nautical theme by its new owners for use as their holiday home. This is an ideal place to stay for families, with the advantage of 2 en-suite double bedrooms on the top floor which both have lovely views out across the harbour. There is a sociable open-plan living area on the first floor, with the advantage of Sky Sports and free Wi-fi, and access to the south facing courtyard seating area. On the ground floor is a children's room with a single bed and a triple bunk bed and a shower room. Superbly located within walking distance of the quay, several shops, restaurants and the sandy beach. 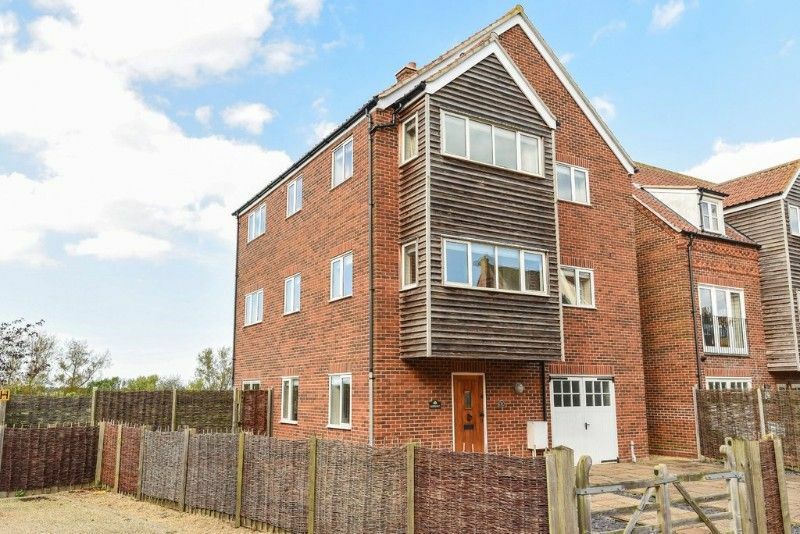 Harbour Heights is a luxurious detached 3-storey seaside townhouse, with far reaching panoramic views out towards the sea. It is conveniently located in the far corner of the small select Mainsail Yard development, and cleverly designed so that all the spacious living areas and all but one of the bedrooms enjoy the views. 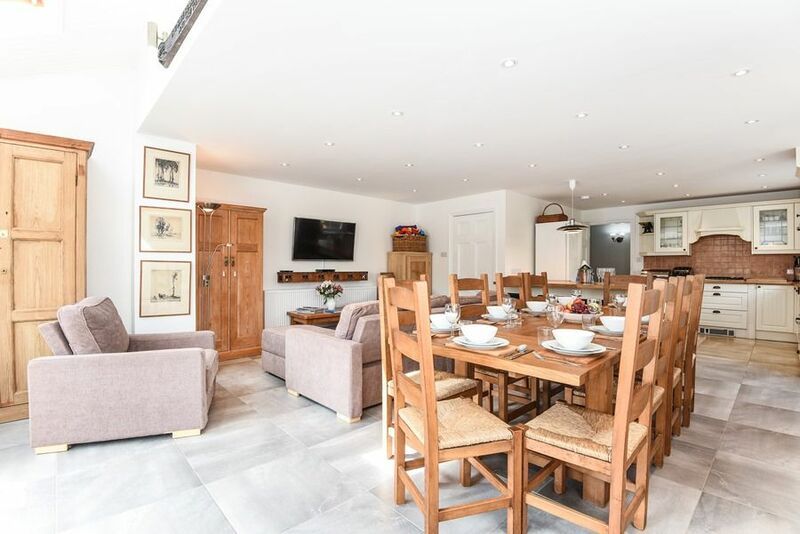 This beautifully presented house has been furnished and equipped for use as a second home. It comfortably sleeps 9 people with its 4 bedrooms & 3 bathrooms, together with a light and airy first floor sitting room and spacious ground floor kitchen/dining room. It's situated just a minutes walk from the picturesque quay and bustling town centre of Wells, with its great selection of shops, cafes, pubs and restaurants. This is an ideal place to stay throughout the year with its lovely views, off-street parking and proximity to the superb sandy beach. 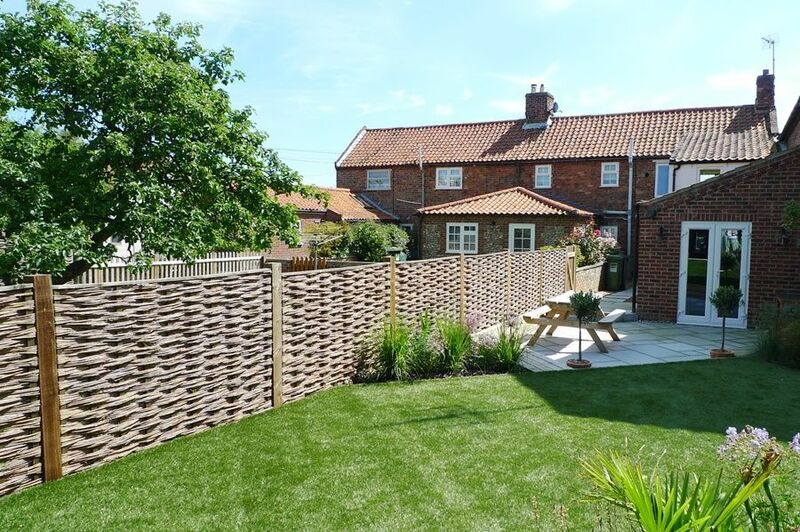 Lovedays is a period cottage which has been completely refurbished to a high standard by its owners, for use as their family holiday home (aptly named by their children as they "love days in Wells!") 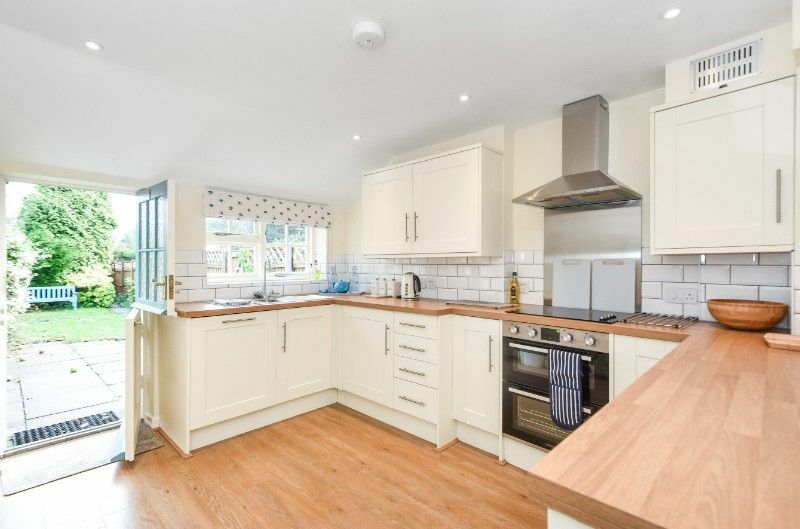 Downstairs has been opened up to create a sociable open plan living area with a wood-burning stove, a super kitchen and the advantage of a separate utility area. Upstairs there are 3 comfortable bedrooms and 2 contemporary bath/shower rooms, making this an ideal place for a family or 2 couples to stay throughout the year. It's ideally located in the heart of Wells-next-the-Sea, only a short walk to the bustling quay with its fishing boats and close to the great selection of shops and places to eat, including the excellent Crown Hotel and the Golden Fleece. Monteagle Garden Flat is a spacious, beautifully presented high-ceilinged holiday home on the ground floor of Monteagle, a prominent Grade II listed house on The Buttlands, Wells' sought after Georgian leafy green. 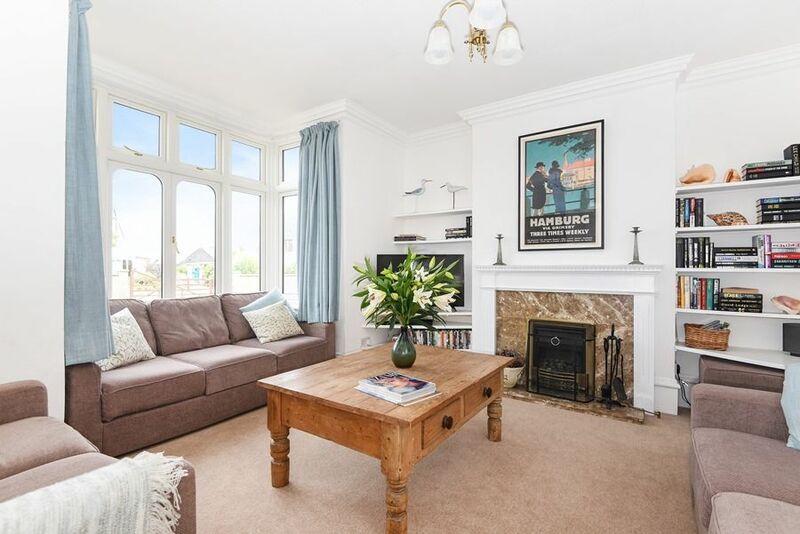 We are delighted to offer this beautifully appointed flat which has been carefully furnished and equipped to a high standard by its owners.It is in a fantastic location in the heart of Wells, with the advantage of a private fully enclosed rear garden. 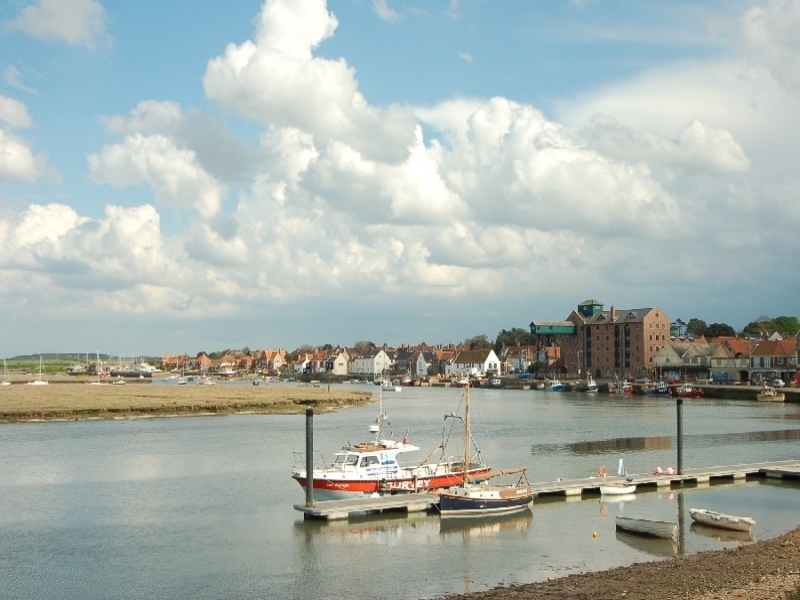 It's only a short walk from many local amenities and the picturesque quay, and a few steps from The Crown and The Globe, two of Wells' best places to eat. Sandbanks is a fabulous contemporary seaside property, one of a small select development in Mainsail Yard, situated just a few minutes walk from the picturesque quay and local amenities in the highly sought after seaside town of Wells.This beautifully presented, spacious three-storey house overlooks the marshes with stunning far reaching views across the pinewoods and out to sea from the lovely light and airy sitting room and two of the bedrooms. This is a lovely coastal retreat for families or couples to stay throughout the year, with the advantage of off-street parking and proximity to the superb sandy beach and a great selection of shops, cafes, pubs and restaurants. Seal Cottage is a lovely, contemporary holiday home. 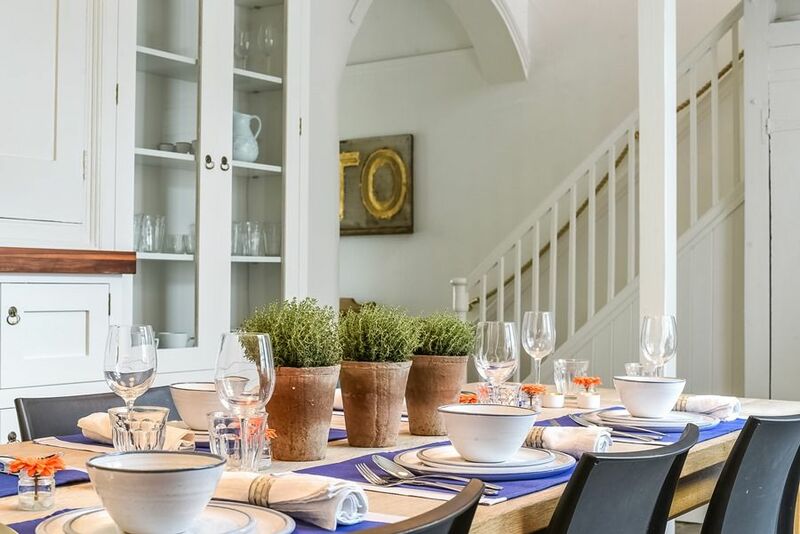 Downstairs has been opened up to provide a light and spacious sitting/dining and kitchen area, decorated in a fresh coastal style, with the advantage of a garden room. Upstairs there are three comfortable bedrooms and two bath/shower rooms, making this an ideal place for a family or two couples to stay throughout the year. It's ideally located in the quiet old High Street in the heart of Wells, with the added advantage of a private parking space. Just minutes walk from The Buttlands with its green and the excellent Crown Hotel and Globe Inn, and the bustling quay with its fishing boats and keen crabbers of all ages! The Rosary is a small traditional single-storey cottage tucked away down one of Wells' many lanes, but within only a minute's walk of the renowned hotel/restaurant 'The Crown'. it is simply furnished in period style and has a courtyard garden which has a little studio leading from it. The cottage is only a short walk to the quay and a good selection of shops. The sandy beach is 1 mile away and may be reached on foot, car or miniature railway. Please note that short breaks are not possible at this cottage. Overlooking the harbour at Wells, witness the change in seasons from the comfort of this well positioned house with almost every window having a sea view. Wentworth Retreat is newly refurbished, three storeys high, with four bedrooms, new kitchen and newly fitted bathroom/shower rooms on every floor. It also benefits from an external utility room which has a separate shower to wash down dogs or sand off off feet! From the first floor master bedroom you can lay in bed and enjoy uninterrupted views of the sea. Outside there is a small balcony on which an evening drink can be enjoyed. There is secure private off street parking for two cars. Located in the heart of Wells everything is accessible. Along the Quay in just a few hundred yards is the Norfolk coastal path which is excellent for dog walking and anyone wanting to enjoy the fantastic Norfolk coastline. This property is ideal for a maximum of 6 adults and 2 children.